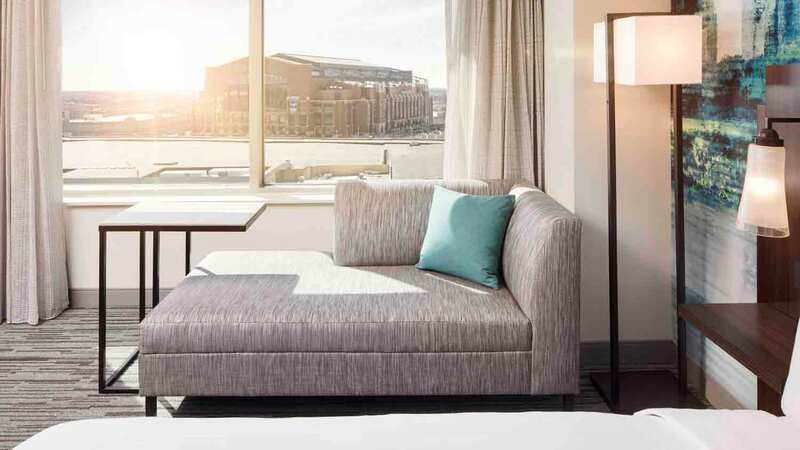 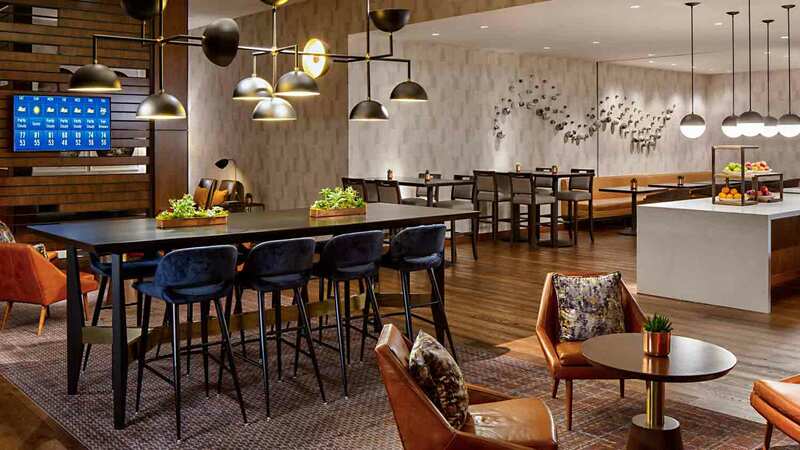 The Indianapolis Marriott Downtown welcomes guests to a completely redesigned hotel in the heart of Downtown Indy, with 650 bright and spacious, newly renovated guest rooms, modern lobby space, enhanced dining options and 45,000 square feet of sophisticated meeting space. 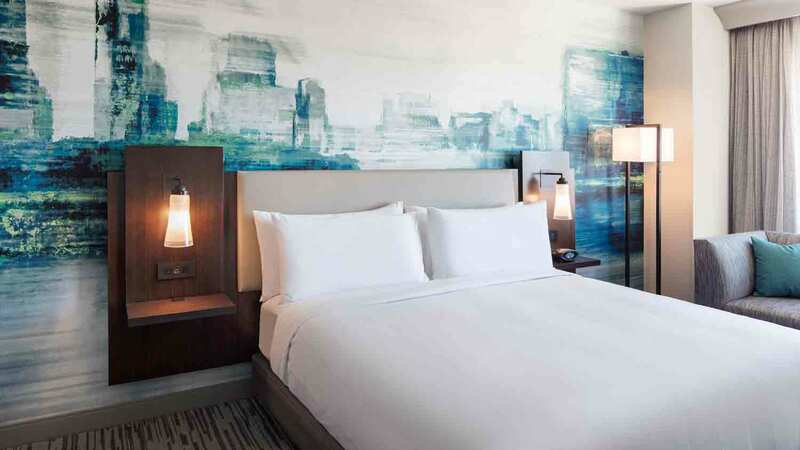 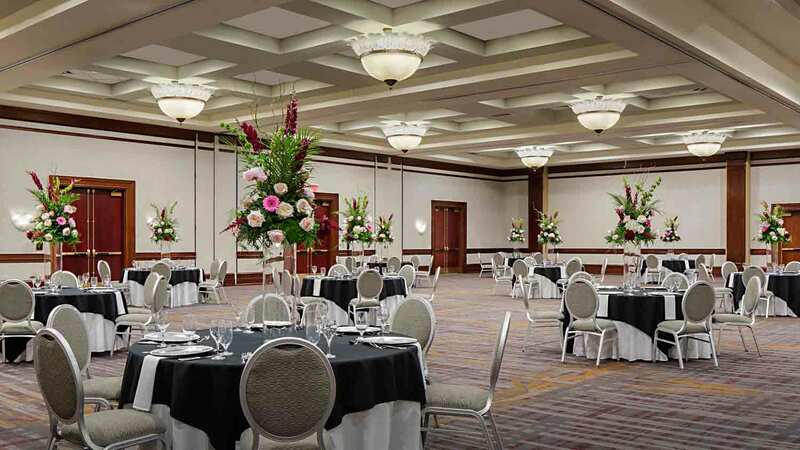 A contemporary look, completed with sleek lines, modern décor, provides the Indianapolis Marriott Downtown with a fresh appearance that simply wows anyone who enters. 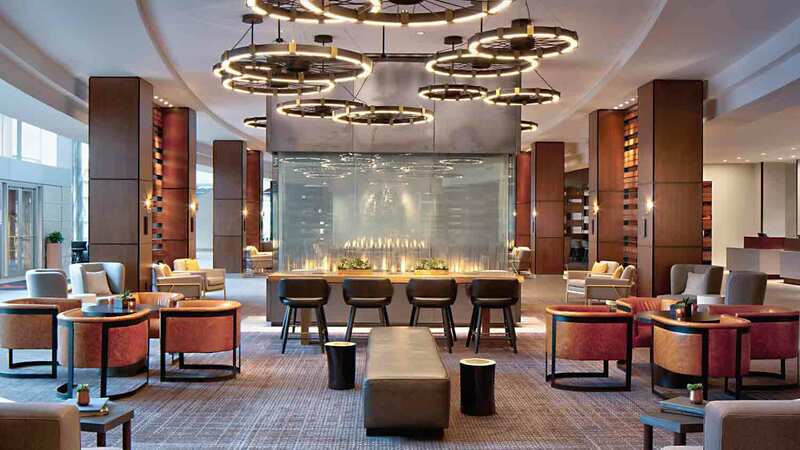 An array of amenities, such as the high-tech fitness center, the onsite Starbucks, a brand new restaurant, bar and market, take the hotel experience to a whole new level. 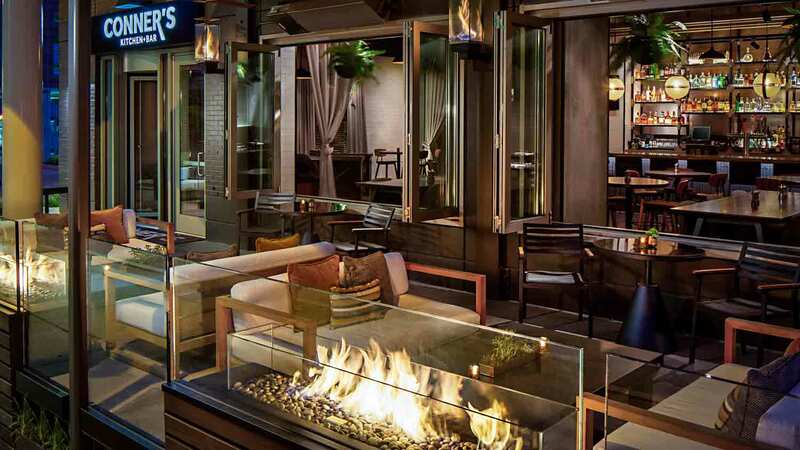 Conner’s Kitchen + Bar brings elevated comfort food, a hangout-worth patio and local craft beer to downtown Indianapolis. 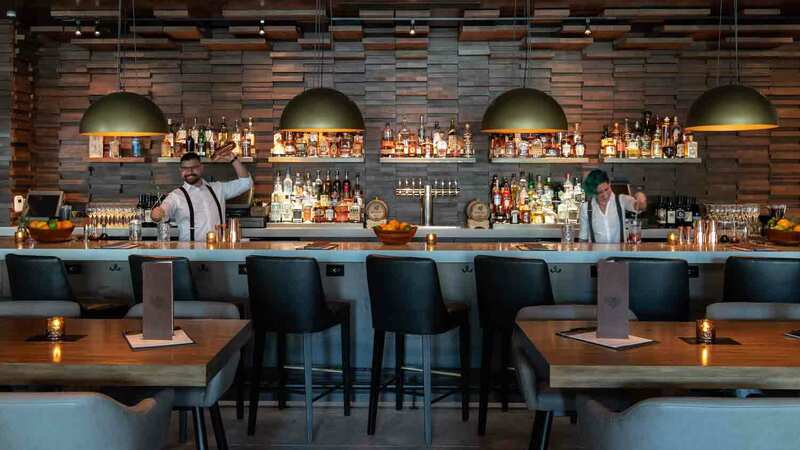 For a more sophisticated atmosphere, Rye Bar is the posh lounge where guests go for a classic cocktail and fine wine. 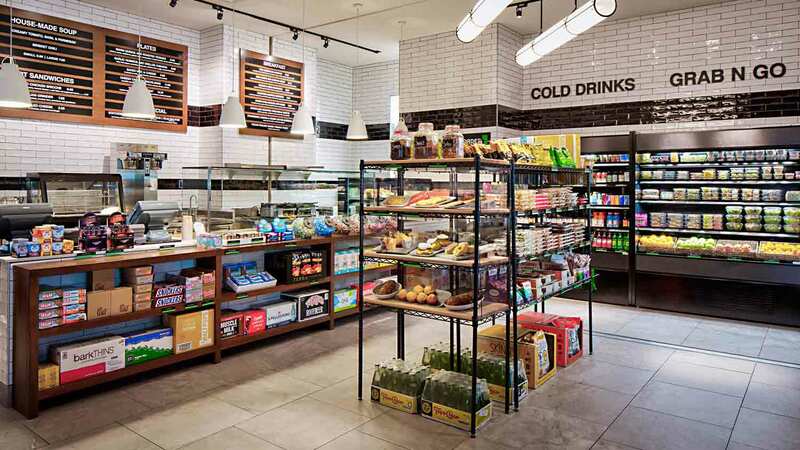 For a simple, fresh, on-the-go experience, Loaf + Vine Market is the modern, urban market offering an array of fresh, local meals for guests on-the-go. 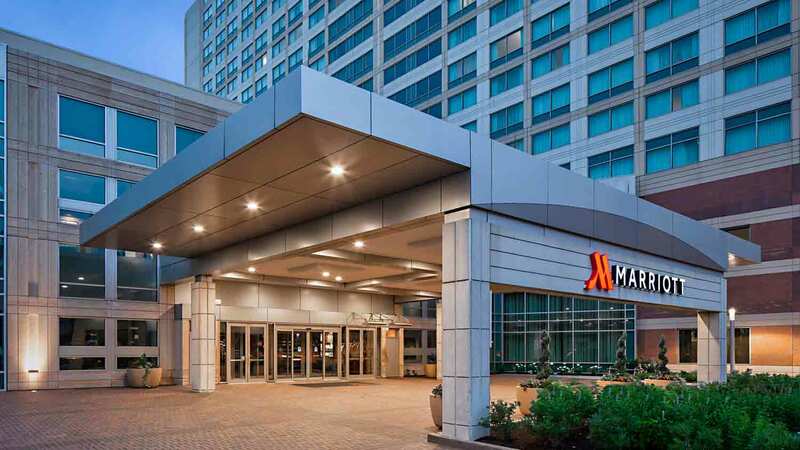 The Indianapolis Marriott Downtown is within walking distance to all the major attractions and connected to the Indiana Convention Center by a unique skywalk system that allows you to buzz around downtown without stepping a foot outside. 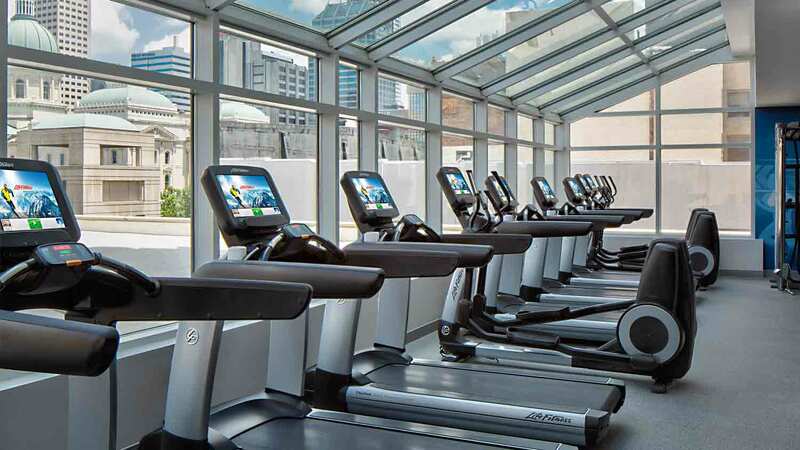 Whether you prefer to watch sporting events at Lucas Oil Stadium, dine at the legendary St. Elmo’s Steakhouse or any of the 200+ restaurants located in a 1 mile radius, shop in a 1 million square foot indoor mall, play with the orangutans at the Indianapolis Zoo in White River State Park, or rent a Segway on The Canal, everything is close by.